Conversations about missionaries and missions strategy are commonplace in our home. We talk about the latest newsletter updates, who’s “home,” and who’s “back on the field.” We wonder about the members of our missionary family when we don’t hear from them, and we puzzle over big picture concerns in an era in which more missionaries are retiring than can possibly be replaced by new recruits. In Mapping Church Missions: A Compass for Ministry Strategy , Sharon Hoover introduces a way of thinking about the genuine challenges of initiating and maintaining a program of global outreach that is in keeping with a biblical view of The Great Commission, while also taking into consideration the uniqueness of each body of believers. Her good work and varied experiences have helped her to produce a road map for intentional missions strategy that transcends personal interests and agendas. Rarely are our burning questions about church practices able to be corralled with a pat answer. My husband chairs the missions committee in our church, and his life would be so much easier if shimmering golden percentages were handed down from heaven to guide missions policy: What is the ideal percentage of the budget to allocate to foreign missions and how much for local ministries? Approval of short-term projects would be a cinch if everyone could just agree that their purpose is outreach and impact on the field. Or is it mainly for the development and growth of the participants . . .? Is the church called to perform good works OR to to engage in activities that present the gospel? Is our highest priority to meet the needs we can see all around us OR should our focus be centered on the regions beyond, those who have never even heard of Jesus? Are we to direct our resources mainly toward emergency crisis relief OR will people best be served by long-term engagement once the crisis has passed? Which is most necessary: Tangible investments such as money, clothing, and vehicles? OR will an investment of time and talent be more valuable in the long run? Can short-term ministry teams work effectively on the field OR is this nothing more than Christian tourism? Is the focus of ministry a matter of serving those who are sent to minister OR those who will receive that ministry? How much risk is acceptable in planning a ministry? Is safety an obstacle to fulfilling the Great Commission OR should “common sense” prevail? Driving south on I-95, my Kindle illuminated the front seat of our car as my husband and I made an impulsive trip to L.L. Bean one August evening. I had brought Mapping Church Missions: A Compass for Ministry Strategy along for the hour’s ride because I wanted to get his input, but soon found myself reading great chunks aloud. The questions stimulated conversation and the well-conceived scenarios at each chapter’s end acted as both mirror and light. Sharon Hoover has developed a resource that is thought provoking and will challenge any individual who is excited about the call to build God’s kingdom. However, she has also constructed a compass, a tool for groups who need to have monumental conversations that will help them get their bearings, clarify their thinking, and ensure that they are traveling in line with both the truth of Scripture and the passions and callings of those who are on the road together. I am a participant in the Amazon Services LLC Associates Program, an affiliate advertising program designed to provide a means for sites to earn advertising fees by advertising and linking to Amazon.com. If you should decide to purchase Mapping Church Missions: A Compass for Ministry Strategy , simply click on the title (or the image) within the text, and you’ll be taken directly to Amazon. If you decide to buy, I’ll make a small commission at no extra cost to you. Posted on September 24, 2018 September 23, 2018 Categories Book ReviewTags InterVarsity Press, Ministry, Ministry Strategy, Missions, Sharon R. Hoover43 Comments on Is There a “Right Way” to Do Church Ministry? I can remember when I used to be an advocate for early demise. My fondest hope was to fulfill the biblical quotient for old age as well as I could, and then to exit stage left with as little drama as possible to make room for the next wave. Then I became a mother, and motherhood changes your mind. Now, one of my fondest hopes is to see my sons in their prime and beyond, to bear witness to the salt-and-pepper, the graying temples, and the receding hairlines. I want to appreciate the deepening of laugh lines around eyes the color of the sea and to chuckle over the unruly eyebrows and the persistence of strength and muscle tone in a middle-aged runner’s scrawny legs. Motherhood has changed my mind and more, and Rachel Marie Stone suggests a physiological reason for the alterations that come with motherhood. Apparently, a woman’s body acquires cells from every pregnancy. Each baby she carries leaves behind a few cells that join with hers, so when we take the plunge into motherhood, we do not surface unchanged. Birth is the metaphor that runs throughout Birthing Hope: Giving Fear to the Light as it binds memoir to meditation and bears witness to the journey that has left its mark on the author. When Stone and her husband packed up baggage and boys and relocated to Malawi, they had not an inkling of what it would cost them to serve university students in one of the poorest countries in the world. Whether it was her training as a doula or her tendency since childhood to be drawn toward the things that scare her, she was drawn to serve in a hospital where maternal death was commonplace–even unremarkable. Living as a white woman in a Malawian city, Stone “wore shame like a scarf” because of her comparative wealth, her education, her access to medical care, and the fact that she was there in the country voluntarily and could leave at any time. In the city of Zomba they called home, she taught English with a cringe, wishing her students did not need to learn it. She shared the lives, the meals, and the routines of Malawian women who became friends, all the while learning that “every act of eating and drinking in Malawi was preceded by strategic harm reduction acts” such as washing raw vegetables and fruit in a bleach solution and filtering water. Learning to fashion pottery from the clay taken from termite mounds (Yes, it was accumulated termite droppings . . .), Rachel savored the image of God as the Potter who fashioned her own vessel out of humble clay. One of the highlights of Birthing Hope is the theological ponderings that flow out of the narrative arc. For instance, so many of our anxieties are tied to our mortality and physicality, and yet the truth of the incarnation that anchors our hearts in hope for these frail bodies has been challenged, messed with, and diluted throughout history. This is tragic, because the reality that a Palestinian teenager gave birth to God in a body, that Mary was given the option to bend and break over scandal and risk around a fully human pregnancy gives meaning and purpose and fosters fellowship around our own human struggles that are firmly rooted in our feeble flesh. From God’s perspective, the incarnation was a huge unshielding of His own heart as He brought into being the possibility of a Suffering Servant and the Perfect Sacrifice. What a precise picture of the mothering life! Starting with birth, and growing by leaps and bounds as small bodies grow into large and independent selves, the mothering journey is one huge unshielding process! And it is fraught with risk. Birthing Hope is an invitation to enter fully into that risk, trusting that there is no contamination or sorrow that is not gathered up into the collective groaning that will be turned inside out and will one day weigh like feathers in the balance against the overwhelming weight of glory which comes from a life in which love is allowed to have the last word. Many thanks to IVP Books for providing this book to facilitate my review, which, of course, is offered freely and with complete honesty. I am a participant in the Amazon Services LLC Associates Program, an affiliate advertising program designed to provide a means for sites to earn advertising fees by advertising and linking to Amazon.com. If you should decide to purchase Birthing Hope: Giving Fear to the Light , simply click on the title within the text, and you’ll be taken directly to Amazon. If you decide to buy, I’ll make a small commission at no extra cost to you. Most days on this country hill are a blur. With every line in my planner filled, there’s also the background music of laundry and continual cleaning. In the winter, there’s a voracious wood stove; in the summer there’s a garden that needs constant attention. Of course, at the far right side of this equation of work and home, there’s a family that knows they’re loved and a home that is well-lived in. The steady thrum of activity is the glue that holds a home together, and it is one of the most startling discoveries of my life that it is possible to find a fulfilled and meaningful existence in the midst of mind-numbing routine. It turns out that it’s not what you’re doing that makes a life. It’s why you’re doing it. She goes on to trace the connection between the routines of domesticity and the “quotidian mysteries” of spiritual practice. Just as the swiping of crumbs off the dining room table will never be a once and done affair (at least at my house! ), neither are the practices of spiritual formation. In tending to the health and wholeness of our souls, every day there will be “crumbs” that need brushing away, and this is a good thing, for it keeps us mindful of our creaturely dependence on God. 1. Just as Jesus is portrayed as the Suffering Servant in Isaiah 53, the believer is called to a life of “two -dimensional” servanthood, directed toward God and offered to our neighbors. 2. The “yawning attention” (131) paid to the details of tabernacle construction in Exodus also points toward care and provision for worship — a house for God. In referring to my “home church” for the past twenty years, I have spoken truer than I realized. 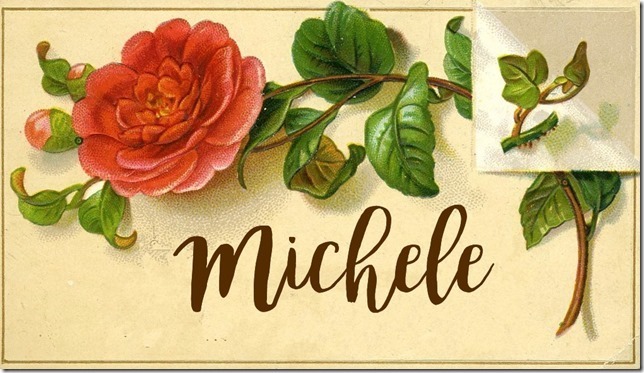 The welcome and belonging that my family has appreciated there has strengthened us, and, furthermore, we do our fellow parents a huge favor when we reinforce the same messages that they are speaking to their young charges at home. In fact, research is revealing that “the most important predictor of whether children from Christian families keep their faith into adulthood is the number of multigenerational connections they enjoy at church.” This statistic should be on a billboard at planning meetings for youth ministries. 5. Keeping Place is a matter of being willing to welcome others into “our place.” Gathered around the welcome of a prepared meal, no matter how simple, “the table is a burning bush. Around the feast we are enflamed with the presence of God.” (163) And is it not God’s way to spread a feast before His people? We meet around a table and “the feast preaches” the gospel to our hungry and thirsty heart. Let the work of housekeeping continue, and may we find fulfillment in the smallest task performed for the greatest worship of God. 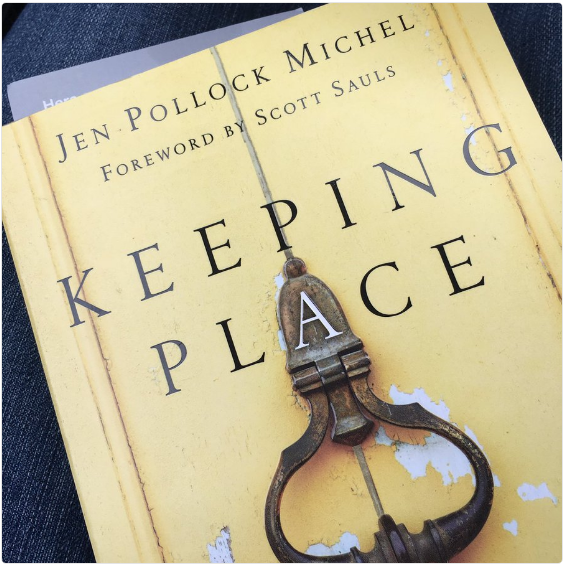 Last week I spent time interacting with Part I of Keeping Place (click here to catch up) in which Jen laid a foundation with the history of home and the place home plays in Scripture and in our understanding of the gospel. I’ve so enjoyed Jen’s robust theology and elegant prose that it’s been a delight to linger over her words for two weeks. If you are interested in hearing Jen’s voice and more of her story, check out this Q+A with Ashley Hales or this twenty-minute interview.